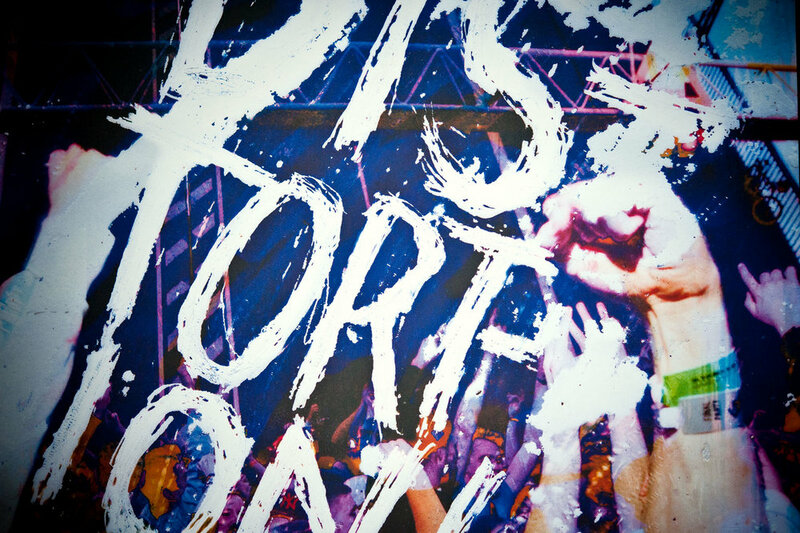 Distortion is an annual five day festival celebrating Copenhagen nightlife. This series of promotional posters are designed to reflect the movement, fun, and rebellion of the event as it moves through five Copenhagen neighborhoods to skirt authorities. The imagery is made from photographs by the organization that were then individually glued, pulled apart, bleached, scratched, and scrubbed by hand. Credits: Distortion Music Festival for photography and inspiration.